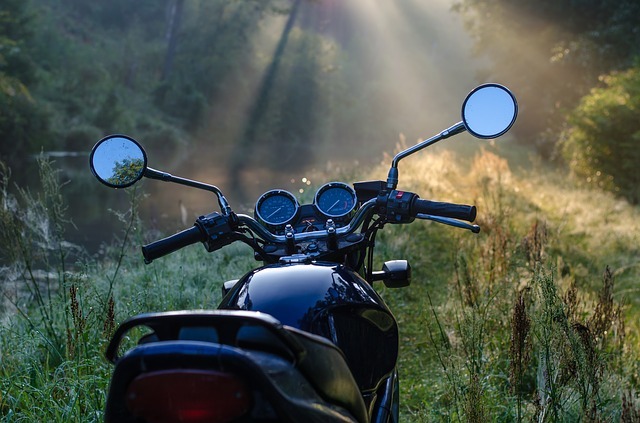 When it comes to motorcycles, a little DIY maintenance could save you a lot of money, keep your bike running smoothly and keep you safe while riding your bike. Today, we will discuss routine motorcycle maintenance and the tools and time needed to accomplish them. Change your bike’s oil after several thousand miles. Your owner’s manual will give you the exact mileage. First, let your bike run for a few minutes to warm it up. Turn off the bike and have it stand upright. Next, take out the drain plug and the oil fill plug. Have an oil pan ready to catch the oil. Next, take out the oil filter. When the oil is fully drained, put the new oil filter in. Add more oil using the funnel and replace the oil fill cap. The air filter keeps debris out of the engine and keeps your bike running smoothly. If the filter is dirty, it is time to replace it. Go into the airbox, remove the filthy air filter and replace it with a new one. To check the tire pressure, find the valve stem inside the wheel. Take off the cap use an air pressure gauge the check the pressure. Compare this reading with where the tire pressure should be at. You can find this written on the sidewall of the tire. If you need more air, use an air compressor to fill the tire and put the cap back on when you are done.